Occasionally I hear Torah that relates to the iconography of Hebrew letters, like the significance around the fact that the yud is a small point, and how the hey has two openings, allowing repentants to come back in when they fall out, etc. Assuming it is agreed in Jewish tradition that the Torah was given with something similar to the Paleo-Hebrew alphabet and that our current alphabet was adapted later on, how can there be Torah about a borrowed character set? How is there intentional holiness around an iconography that is not the original? The question is important and need to be asked. The following answer is based on Jewish Tradition. The topic is treated in Gemara (Babylonian Talmud) Sanhedrin in which we find three opinions. The first opinion is that the Ashuri writing was given by an angel at the time of Ezra, as a second step of the Torah revelation (according to Rashi). The second opinion is that the first writing was this, this original was forget and further recovered. Mar Zutra or, as some say, Mar 'Ukba said: Originally the Torah was given to Israel in Hebrew characters and in the sacred [Hebrew] language; later, in the times of Ezra, the Torah was given in Ashshurith script and Aramaic language. [Finally], they selected for Israel the Ashshurith script and Hebrew language, leaving the Hebrew characters and Aramaic language for the hedyototh. And even though the Torah was not given through him, its writing was changed through him, as it is written:... in writing which was destined to be changed. It has been taught: Rabbi said: The Torah was originally given to Israel in this [Ashshurith] writing. When they sinned, it was changed into Ro'az. But when they repented, the [Assyrian characters] were re-introduced, as it is written: Turn ye to the stronghold, ye prisoners of hope; even to-day do I declare that will bring back the Mishneh unto thee. The third opinion (Rabbi Shim'on Ben El'azar in name of Rabbi Eliezer Ben Parta who cited Rabbi El'azar Hamodayi). R'Simeon B'Eliezer said on the authority of R'Eliezer B'Parta, who spoke on the authority of R'Eleazar of Modin: This writing [of the law] was never changed, for it is written: The 'waws' [hooks] of the pillars. As the word 'pillars' had not changed, neither had the word 'wawim' [hooks]. For each of the three opinions, the "new" alphabet is a part of the giving of the Torah. The interpretations of the form of letters is may be agreed by each of them. If you have access to Margolios Hayam on Sanhedrin, see on daf 21b starting from #37 onward. He brings many opinons from Rishonim that even according to the opinion that the Torahwas given in ksav ivri, there was always holiness associated with ksav ashuri. For instance, one of his sources, the Radvaz, IIRC, said the original luchos were given in ashuri. He was answering why chazzal said a miracle was needed to uphold them when no such miracle would be needed in kmksav ivri. Two answers can be found from Rabbi David Sperling from Yeshivah.org in Israel at this link: Ktav of the Torah. However, even according to the [Talmudic opinion that the ashurit script was introduced by Ezra] there are at least two other explanations that may help us. Firstly, some say that the Torah was given in Assurit, but Moshe and the Jewish people did not want to use such a holy script for everyday use. As such, they used ktav Ivri – until the time of Ezra, when it became acceptable to use ktav ashurit at all times. According to this, even the first opinion agrees that the inherent holiness of the letters applies to Asssurit – and when we say that Ezra "changed" the text to assurit from ivri, we only mean for general open use. Another explanation is found in the Radbaz (III, 882) where he explains that the first tablets were in ktav ashuri, but after the sin of the golden calf, the second tablets were in ktav ivri, which was used until the time of Ezra. This explains the holiness of the letters of ktav ashurit, together with the opinion that Ezra made the change from ivri to ashuri. Not the answer you're looking for? 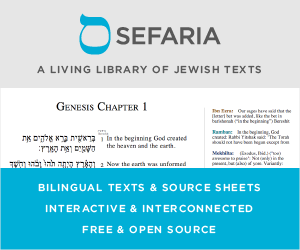 Browse other questions tagged history hebrew aleph-bet-letters language torah-writing .